You've probably guessed by now that I absolutely love making these silk daisy flowers! 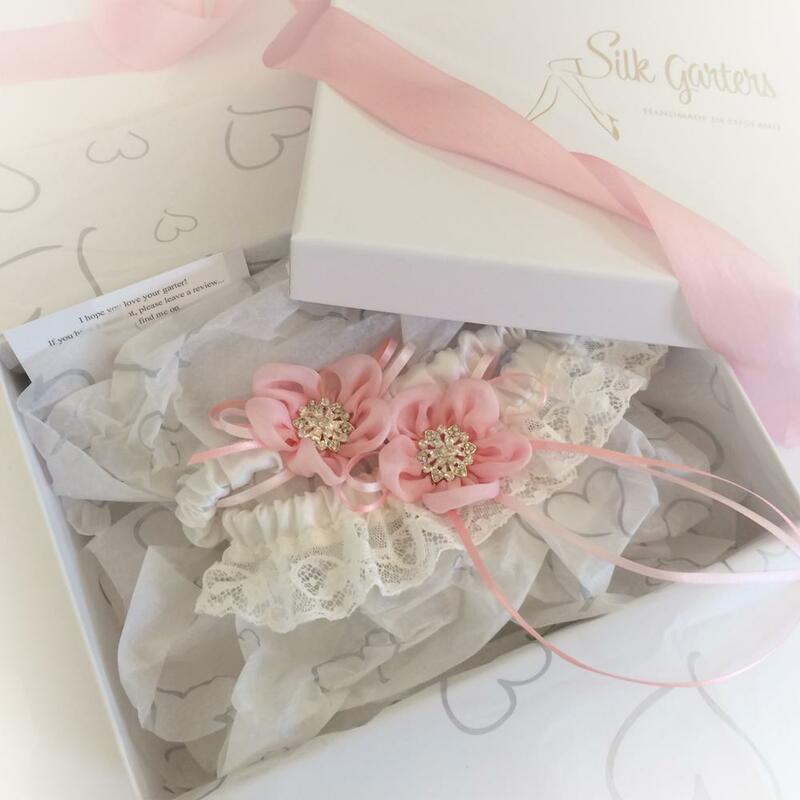 This is the Clara wedding garter set, beautiful ivory cotton Nottingham lace, from a Royal Wedding supplier on a pure silk satin band, with a delicate hand-made silk chiffon flower and pretty crystal centre. 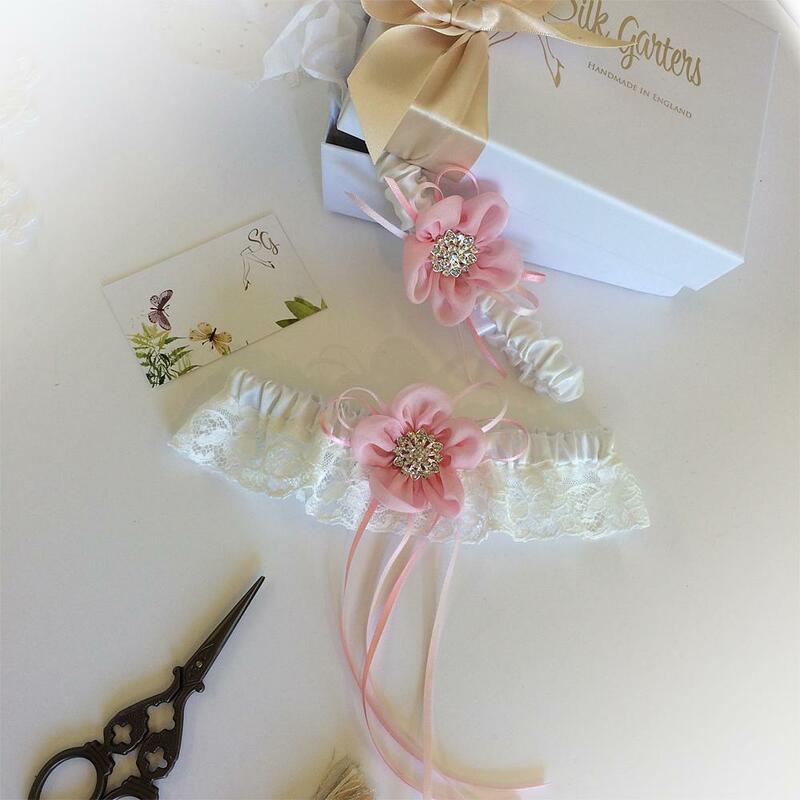 The flower is over dainty little longtail bows on the main garter and shorter bows on the toss garter. You can choose either your colour for the flowers and ribbons or just the ribbons. Please send me a message to see if your silk chiffon fabric is available. Most standard ribbon colours I already have in stock. A tiny blue bow is hidden inside for your something blue and your set will arrive beautifully boxed.